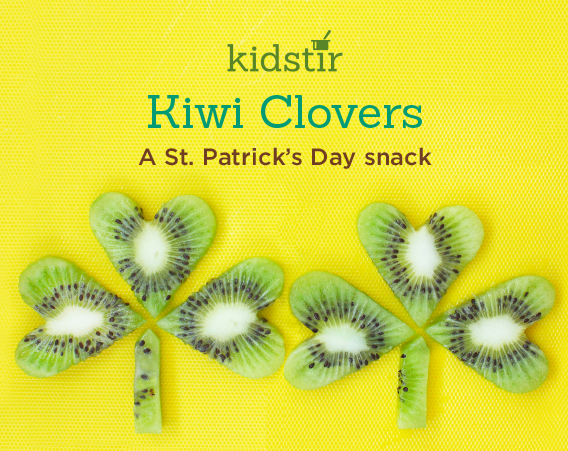 For a little Irish luck, serve up a kiwi snack! Start with a ripe kiwi. It should feel soft but not mushy. A grown-up can help slice it into rounds with a paring knife. Cut each round into a heart shape with a cookie cutter. To make a clover, arrange three hearts as shown. Add a kiwi slice for a stem. Good luck to you!